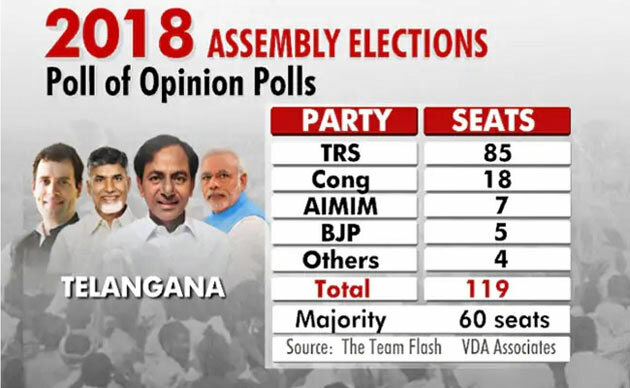 NDTV Opinion Poll conducted by The Team Flash and VDA Associates indicates TRS is likely to emerge as a single largest party in Telangana with the upcoming Assembly Polls scheduled to happen in December this year. If these results are any indication, Chief Minister K Chandrasekhar Rao will have the last laugh. While Congress could manage just 18 seats, None of the other parties of Grand Alliance could win even more than 4 seats collectively. BJP, on the other hand, succeeds in retaining its 5 seats.